Republican Rep. Liz Cheney of Wyoming brushed aside President Donald Trump's controversial tweet on Saturday mocking Democratic Sen. Elizabeth Warren's claims of Native American heritage, telling CNN's "State of the Union" that Warren has made herself a "laughingstock." "I have concerns about somebody like Elizabeth Warren pretending to be a Native American," Cheney said, calling Warren's past assertions a "disgrace." 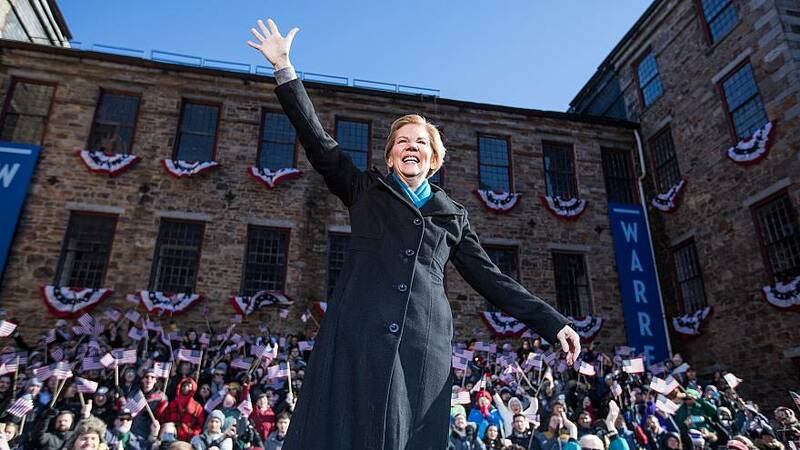 Trump taunted Warren on Twitter after she announced her presidential bid at a large Massachusetts rally, asking if she will "run as our first Native American presidential candidate, or has she decided that after 32 years, this is not playing so well anymore?" "See you on the campaign TRAIL, Liz!" he added. On Instagram, his eldest son, Donald Trump Jr., responded to the tweet by saying, "Savage!!! I love my president!" The president's comment was seen by many as a reference to the Trail of Tears, the forced relocation of Native Americans in the mid-19th Century from tribal lands, during which thousands died. The policy was pursued by the administration of Andrew Jackson, whom Trump has repeatedly praised as a great president. Cheney said when asked about Trump's tweet on CNN, "Elizabeth Warren had made herself a laughingstock, and I don't think anybody should be surprised that that is the reaction to her and her repeated claims," adding Warren is "somebody who can't be trusted." CNN's Jake Tapper concluded the exchange by noting that Cheney did not directly address the content of Trump's tweet. Earlier this year, Trump made a joking reference to the Wounded Knee massacre of Native Americans and the Battle of Little Bighorn to take a shot at Warren, whom he regularly refers to as "Pocahontas." Warren has faced backlash and has apologized for claiming Native American ancestry in her past. She took a DNA test last year and revealed she was between 1/64 and 1/1024 Native American and has since apologized to Cherokee Nation leaders. Last week, The Washington Post reported that she listed her race as "American Indian" on a Texas State Bar registration card in 1986, which has renewed conservative mocking of her.